Born in Moscow, Maria Kochetkova trained at the Bolshoi Ballet School for eight years before dancing with The Royal Ballet and English National Ballet in London. She joined the San Francisco Ballet as a Principal Dancer in 2007 and has performed as a guest artist with the Bolshoi and Stanislavsky Theaters in Moscow, the Mariinsky and Mikhailovsky Theaters in St. Petersburg, ABT in New York, Rome Opera and the Tokyo Ballet. Her classical repertoire includes the title role in Giselle, Aurora in The Sleeping Beauty, Kitri in Don Quixote, Juliet in Romeo & Juliet, Odette-Odile in Swan Lake, Clara and the Sugar Plum Fairy in The Nutcracker, Tatiana in John Cranko's Onegin, the title role in Alice in Wonderland and Nikiya in The Kingdom of the Shades from La Bayadère. She has also performed in George Balanchine’s Coppelia (as Swanilda), Divertimento No. 15, Jewels (Emeralds and Rubies), Serenade and Theme and Variations, Symphony in C (2nd movement), Scotch Symphony, William Forsythe’s in the middle, somewhat elevated and Artifact Suite, Kenneth MacMillan's Winter Dreams and bedroom pas de deux from Manon, Frederick Ashton's Symphonic Variations and Voices of Spring, Wayne McGregor's Chroma (opening night for US premiere), Serge Lifar's Suite en Blanc and ballets by David Dawson, Derek Deane, Jorma Elo, Mark Morris, Yuri Possokhov, Alexei Ratmansky, Jerome Robbins, Helgi Tomasson, Christopher Wheeldon and Hans Van Manen. 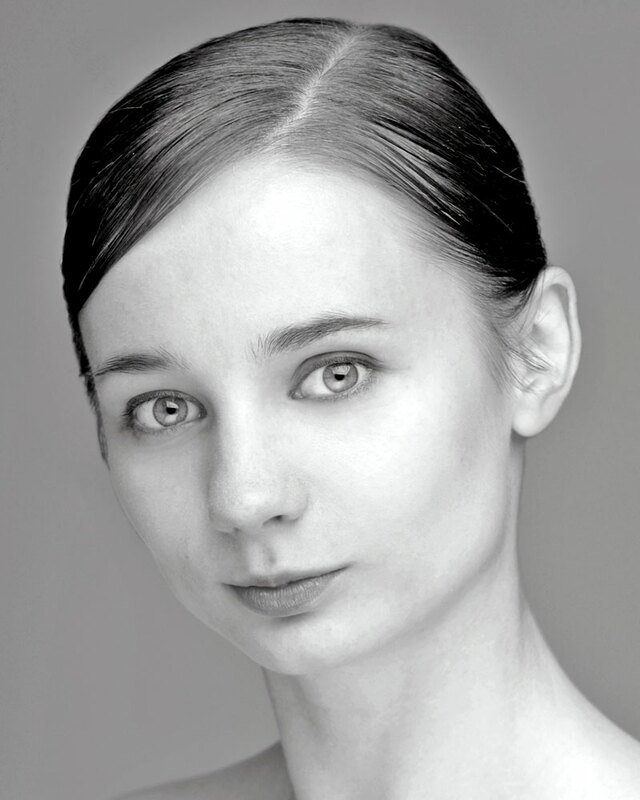 Kochetkova has created principal roles in Yuri Possokhov’s Diving into the Lilacs, Raymonda Pas de Deux, Classical Symphony and Francesca da Rimini, Helgi Tomasson’s On a Theme of Paganini and Trio, Christopher Wheeldon’s Cinderella, Within the Golden Hour and Number 9, Alexei Ratmansky's From Foreign Lands, Jorma Elo's One Overture, Mauro Bigonzetti's Cinque and Wayne McGregor's Borderlands. Her guest performances include Kitri in Don Quixote for the 2009 NBS World Ballet Festival in Tokyo and Cinque and One Overture with the Bolshoi's Reflections project (2011). She has also performed at the Stars of the 21st Century Ballet Galas in Toronto, Moscow, Panama and Paris, the Roberto Bolle and Friends Gala at the Arena di Verona and New York, the Nijinsky Gala in Hamburg, the Boris Eifman and Ballet Stars Gala at Mikhailovsky Castle in St Petersburg, Les Etoiles pour le Japon Gala at the Palais des congrès in Paris, the International Ballet Star Gala in Taipei, the YAGP Pestov Galas in Moscow and New York and YAGP Ballet's Greatest Hits Gala in Tampa Florida. Kochetkova performed the Grand Pas de Deux in San Francisco Ballet’s Nutcracker which was broadcast by PBS in 2008 and won the solo gold medal in the NBC series Superstars of Dance which was watched by over 10 million viewers. Kochetkova’s prizes and awards include the Isadora Duncan Award for the role of Giselle and medals at the International Ballet Competitions in Seoul (Gold, 2005), Rome (Gold, 2005), Riety (Gold, 2005), Luxembourg (Gold, 2003), Varna (Silver and the Press Jury Prize, 2002), Moscow (Bronze, 2001). She is also a winner of the Prix de Lausanne (2002) and was nominated for the best dancer award in the Benois de la Dance (2013) and National Dance Awards (2014).